Google’s new VR headset and controller are built on the Daydream platform. It has already gained a lot of moment and Google predicts that more than 50 Daydream apps will be available at the end of the year on a VR-focused app store similar to Google Play. The Daydream View VR headset is affordable and retails at only US$79. How can Google Daydream View be so affordable when other VR headsets like HTC Vive retails at about $1,900? The reason is that Daydream View is an “empty” headset shell. It requires pairing with a compatible smartphone that supports Daydream and that slots into the front of the headset. In addition, the graphics of the paired smartphone needs to be powerful enough to support a VR experience and VR apps. 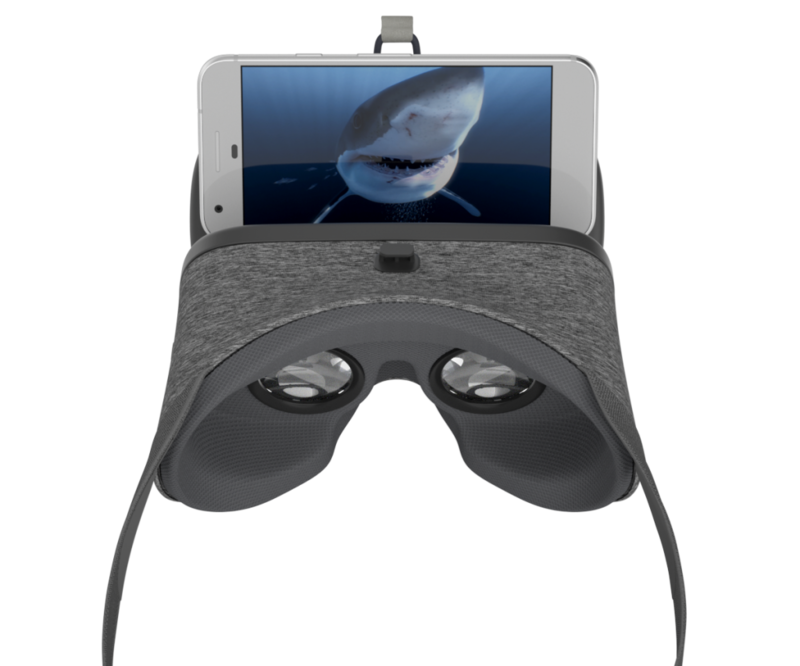 Hence, Daydream View is conceptually similar to Samsung Gear VR since another device drives the VR experience. Source: Google. 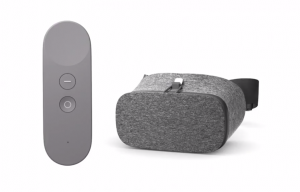 Daydream View headset to the right and the controller to the left. Which phones are compatible with Daydream View? Only two initially: the newly announced Google Pixel and Pixel XL of course. Google writes on its website that more compatible phones are on the horizon, but doesn’t state any specific details. The material used for the VR headset is a plastic frame with cloth surrounding it similar to Oculus Rift. The predecessor VR headset Google Cardboard used cardboard, so cloth is step-up for Google. The cloth blocks out the light and ensures a low weight. In addition, cloth is relatively cheap compared to many other materials and also stylish. The fabric comes in red, white and slate colours with only the latter one being available at launch. The Daydream View VR headset will be available in November. The local price in NZ inclusive of GST is about NZ$126.